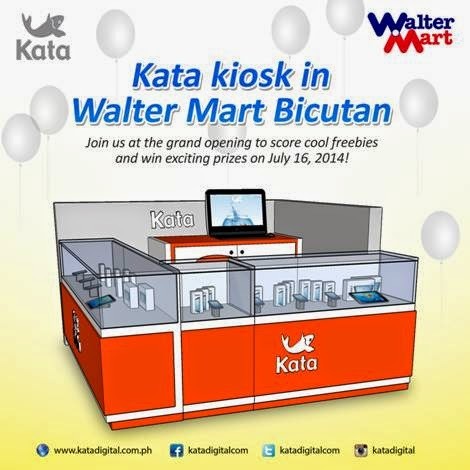 Kata will open its newest kiosk branch in Walter Mart Bicutan. Join KATA at the grand opening to score freebies and win exciting prizes on July 16, 2014. Drop by their Kata kiosk from 1pm-5pm and take part of their grand opening! Shop for the much raved about Kata devices including B1, F1 and T Mini! Plus, win exciting freebies from Spin to Win including a brand new Kata B1 when you register and LIKE tme, on Facebook! Join also the Beat The High Score contest for a chance to win a Kata T mini!